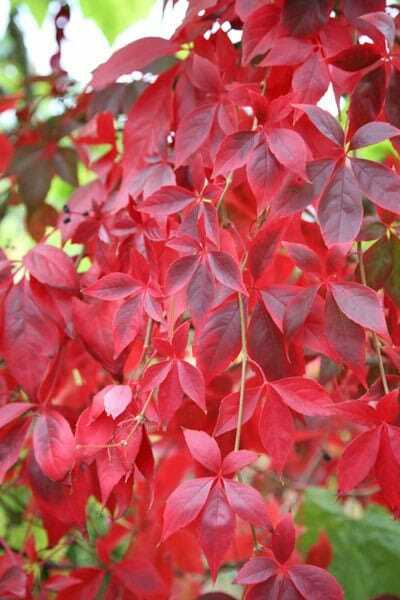 This climber is deciduous so it will lose all its leaves in autumn, then fresh new foliage appears again each spring. Justifiably popular thanks to its unrivalled autumn colour, this vigorous creeper none the less needs to be handled with care. 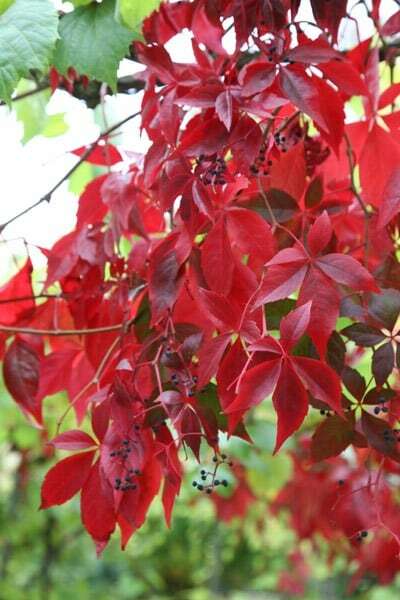 Its five-pointed, deeply divided, mid-green leaves turn brilliant shades of crimson-red in autumn and there are occasionally dark purple berries to add to the mix. It's a showstopping plant that will quickly romp across a large wall but it needs lots of space, regular pruning and will smother other plants it finds in its way. All of this make it an unsuitable choice for small gardens or for laissez-faire gardeners. Garden care: Provide some support until the plant is well established. (This may take up to two years). Once established, tie in stray shoots and prune in autumn or early winter to keep the plant within bounds, paying particular attention to stems that are encroaching on windows, guttering or roofs. Matched my expectations and covered the bare bricks beautifully. Well posted and in great condition. My order arrived very quickly (today) and was securely packaged. Lovely, healthy little plant. I planted it out as soon as I got home from work and am hoping it'll soon start to thrive. Great service - I'm about to place an order for another plant this evening. Just as I had wished for !! Bought to give cover to old barn . Once it had taken it shot up and clung on to the barn wall . Leaves turned crimson when Autumn came . So pleased with this and will purchase another next year . The plant was extremely well packed and also very healthy . Very pleased with my choice and the Company Crocus . Will definitely use again . Lovely self climbing autumn climber, has had a good start (planted it quite early on in year) however it loses its leaves after turning the shade of red i was waiting all year for, being deciduous. It looks very bare now in December but looking forward to it getting bigger and redder next year! 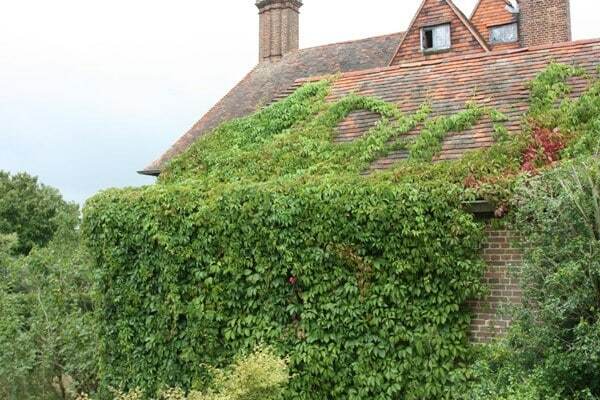 Such a great alternative to boring ivy,but at least the ivy doesnt shed its leaves. Another alternative is the passion flower climber but it does tend to take over extremely quickly! This plant is gorgeous,I ordered two to meet in the middle of my garden arch and they are both really healthy with glossy leaves. Would buy from this site again. I had never bought plants by mail before but liked the very wide selection of plants offered by Crocus; some of them hard to find elsewhere. I placed my first order with Crocus on Monday and my plants were delivered today (Wednesday), They are all well grown, healthy plants in prime condition. The Virginia Creeper was tall & bushy and well supported in its box. All the plants were very well packed and came with planting and care instructions. There was a small delivery surcharge as we live off-shore, but still not expensive. I will definitely be buying from Crocus again and would recommend them. Hello, The Boston ivies can tolerate some shade, but they tend not to flourish in very heavy shade. As for pruning, they are big plants so I would not restrict them too much, but you can remove any stems that have come loose. Would it be suitable to grow through a boring wild plum hedge in very poor freedrained soil? Hello there It would grow through a hedge but will need a relatively fertile, well drained soil. I would try and improve the soil first by digging in lots of organic matter. We have an east facing side passage that Leeds to our front door and a small courtyard which is the height of our house and our neighbours. It only gets approx 3 to 4 hours sun before mid day then is in full shade, are there any climbers that could cope with this? We don't want ivy as our neighbour all ready grows it. Will this plant damage the wall it is grown on? Hello, It is very unlikely to damage a sound wall, but if the plaster, render or mortar is loose, then it may. Unfortunately we don't have an evergreen climber with red leaves. We do sell evergreen climbers,- I have attached a link below. http://www.crocus.co.uk/plants/_/climbers/plcid.15/vid.4/ Hope this helps. 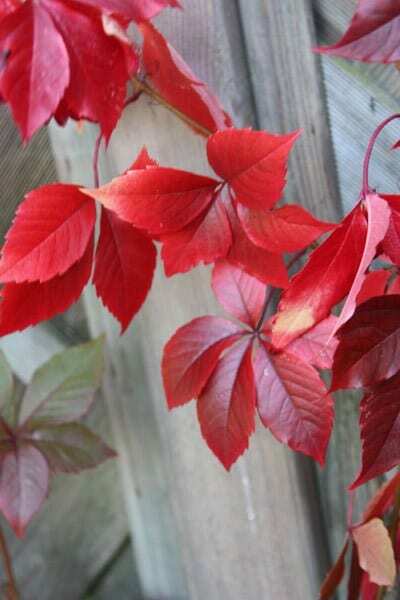 Hello, Only if you have a very big wall as the Virginia creeper, which is not evergreen, gets really big. Thank you so much Helen, this helps a lot.